While managing a project, you need to communicate with all the persons involved in that certain project. With the discussions, you can discuss anything online with your co-workers. 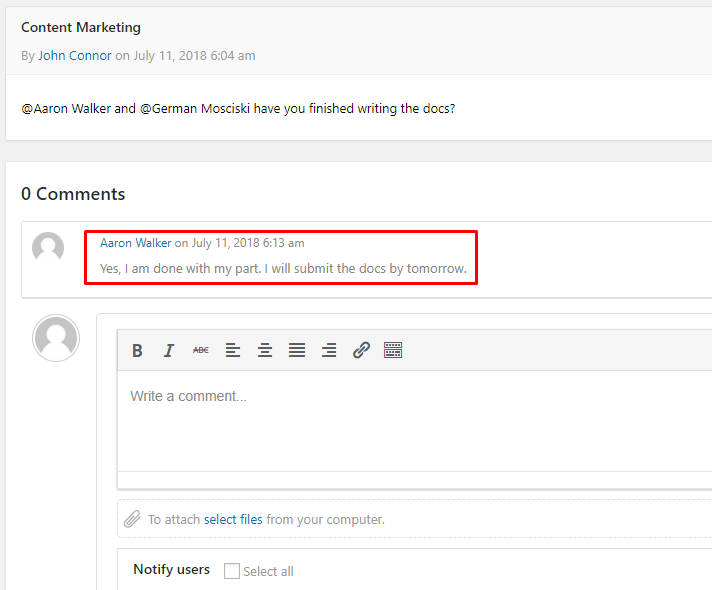 You or other participants can also attach files to their comments when it is necessary. To use the feature, you will have to navigate to WP Admin Dashboard → Project Manager → Projects → Select a project. Next, click on the ‘Discussions‘ tab. After that, you will get a discussion panel which can be used to create an open discussion, group discussion, and private conversation. 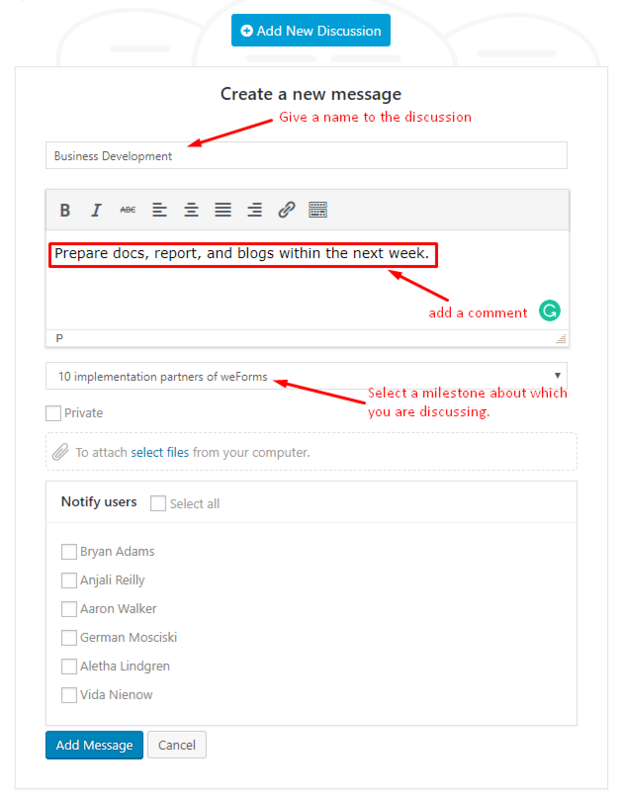 Click on the “Add New Discussion” button to get options for creating a discussion. 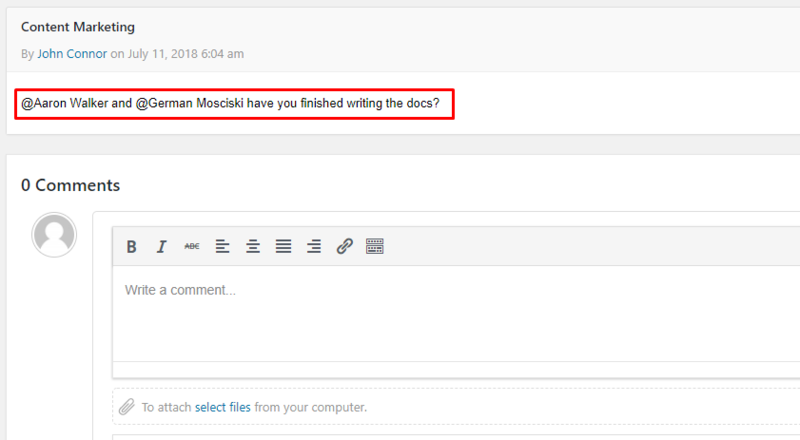 After clicking on the button, you will get the following interface with a view to giving a name of your discussion, adding a comment, attaching files, selecting relevant milestones, selecting users etc. Note: you can select all the users to make the discussion open, or create a group discussion by selecting a few users from the total list of users. Your notified users can participate in the discussion by commenting. Any participator can also attach files so as to submit their tasks in the form of documents, images, zip file and so on. 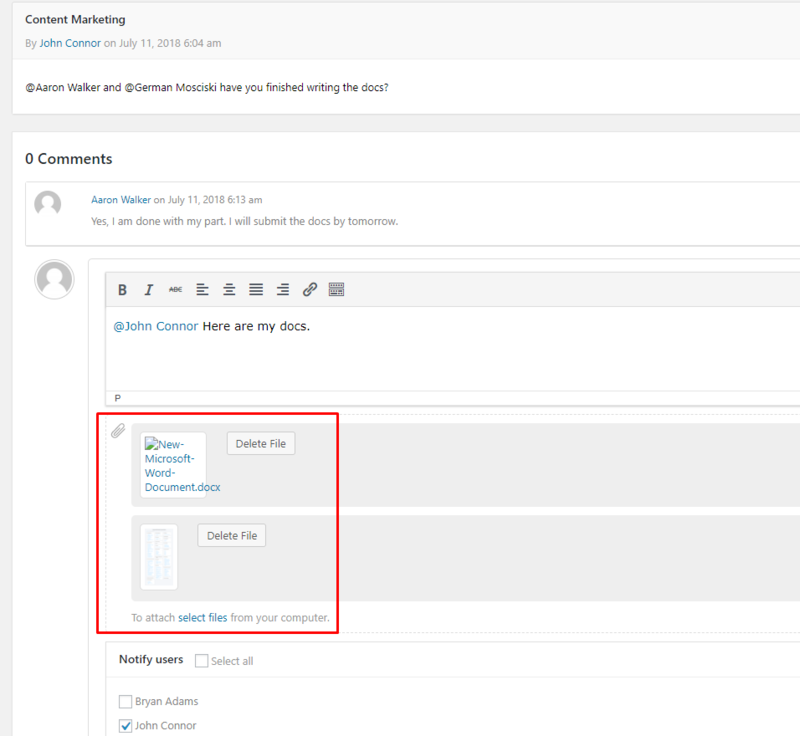 That's how you can use the discussion feature of WP Project Manager.